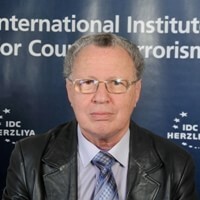 On February 3, 2014, Israeli media,citing senior Israeli officials,reportedenthusiastically that following negotiations in Israel between a senior Turkish delegation, headed by Deputy Foreign Minister Fridon Sinirlioglu, and National Security Adviser Yossi Cohen, Prime Minister Benjamin Netanyahu’s special envoy Joseph Ciechanover and Foreign Ministry Director-General Nissim Ben-Sheetrit would strike a deal with Turkey was possible “within days.” Turkish media claimed the agreement was waiting for finalization of “minor issues” before being submitted to PMs Erdogan and Netanyahu. The information was immediately denied by the Turkish Deputy Prime Minister Bülent Arınç, who is leading the negotiations with Israel. The Haaretz daily disclosed that Israel had offered to pay $20 million in compensation to the families of the nine people killed during an Israeli commando raid on the Turkish ship Mavi Marmara in May 2010 and PM Benjamin Netanyahu had authorized his envoys to go as high as $23 million in order to secure an agreement. Israel, on its side, had asked Turkey to put an end to legal actions against Israeli soldiers and officers that were involved in the Mavi Marmara raid by passing a law in its Parliament that would block such actions in the future. When interviewed on February 4 by the Israeli TLV1 radio station I mentioned that in my opinion the amount of financial compensation was never the difficult part in the negotiations but rather the assurance from the Turkish government, as well as from the families of those which were killed or wounded, that they would refrain from trying to sue Israeli officers and soldiers, in Turkey and elsewhere. To the best of my knowledge, I stated, the families do not accept such an arrangement, and claim that they are independent and that no one has approached them on this issue, which is an ideological goal for them. I stressed also the fact that the issue of “lifting the siege on Gaza" is a basic and permanent request of Turkey and its Prime Minister, contrary to what was reported by Haaretz commentator Zvi Bar’el, who claimed that Gaza in the jumping off point of the negotiations, but was not a real issue between Israel and Turkey. Gaza actually is the major controversial issue at stake as long as Prime Minister Recep Tayyip Erdogan presents himself as the major defender of the Palestinians, and in particular of the Hamas “brotherly” Islamist movement. As there is no real chance that the Israeli government would renounce its basic security interests by opening Gaza and giving Hamas the freedom to arm itself in order to attack Israel with advanced weapons, the result of the Turkish-Israeli negotiations seems therefore dim. Moreover, during the last few months Erdogan and his political spokesmen have expressed time and again anti-Israel, albeit anti-Semitic, views. For instance after the demonstrations by the first massive grassroots political movement against the AKP government, and Erdogan personally, on the Istanbul Gezi Park issue in June 2013, he accused Israeli and Jewish interests of being involved. Similar accusations came up regarding the anti-Muslim Brotherhood coup in Egypt in July 2013. More recently, in the case of the corruption investigations against ministers in his government and his own son, Erdogan again hinted that the United States and Israel were involved in a conspiracy plot against him. We should also pay attention to his visit to Iran at the beginning of February 2014 with the goal of improving relations after quite a long period of crisis on the backdrop of the two countries conflicting interests in Syria. Indeed, Erdogan underlined that partial removal of sanctions on Iran following the implementation of the Geneva accord recently sealed by Tehran and the six major world powers was an unprecedented opportunity which was eagerly seized on by Turkey to promote its ties with Tehran. The two countries stressed the necessity for stronger relations and pursuing the planned increase of mutual trade to $30bln by 2020. From Erdogan’s point of view there is no need for reconciliation with Israel as the economic relations with Israel are seemingly excellent, thus helping the faltering Turkish economy. Turkey is continuing to use Israeli harbors to transfer export merchandise to its Gulf clients, a good arrangement while the Syrian territory is closed. For Erdogan, I argued, the Mavi Marmara incident and the crisis with Israel is an issue of internal politics. He wants to show a tough position against Israel ahead of the March municipal elections and the August 2014 presidential elections in order to receive the support of his Islamist base in the electorate. Following the good news of the forthcoming Turkish-Israeli agreement, on February 10, Turkish Foreign Minister Ahmet Davutoglu told a local television station that Israel and Turkey are closer than ever to normalizing relations and “most of the differences have been recently removed in the discussions” between the two countries. However, the next day, on February 11, Erdogan declared at a press conference in Ankara that negotiations with Israel have progressed, Turkey had received an apology, that talks over compensation for the families of those killed and wounded on the Mavi Marmara ship are ongoing, but “nothing will happen without lifting the siege on Gaza" by Israel. Israel’s reaction was swift. Israel will not lift the blockade currently imposed on the Gaza Strip, senior officials at the Prime Minister Office declared. Both lifting the siege and signing "written protocol" pledging such a move will be taken, were "out of the question". A senior Israeli official said that Erdogan’s remarks were greeted with astonishment as the issue of the Gaza blockade was not on the agenda of the current negotiations, but was being dealt with on a parallel channel that was making progress. Israel has allowed Turkey to significantly increase the amount of humanitarian aid it transfers to Gaza and has also allowed the transfer of the materials needed for the construction of a Turkish hospital in Gaza. Çandar, citing information published in Israeli media, claims that Israeli Prime Minister Netanyahu had rejected the draft of the reconciliation agreement because he was afraid of the reaction from the right over the high compensation for families of those killed in the Mavi Marmara incident. This led the Turkish side to believe that Netanyahu was in no rush to close the deal, which led Erdogan's call for Israel to lift the siege on Gaza as part of the agreement. The result, argues Çandar, is that neither Netanyahu nor Erdogan are eager for reconciliation. It is not clear who leaked to the Israeli media the information that Netanyahu rejected the reconciliation agreement with Turkey because he allegedly was afraid of the reaction from the right over the high compensation for the Turkish families. In my opinion, the Israeli Prime Minister and the Israeli defense establishment consider good relations with Turkey of a high strategic importance. The financial compensation is not of major importance, but rather the Israeli focus is on the law to stop trials abroad against Israeli military personnel and the Gaza blockade issue. A year ago, following PM Netanyahu’s “apology” phone call to Erdogan, under President’s Obama injunction, I evaluated that Erdogan's comments, in which he ties the normalization of relations with Israel to full implementation of the conditions of the deal [meaning the lifting of the blockade on Gaza], suggests that the agreement reached is more tentative than concrete, and that a new age in relations has yet to begun. The present negotiations with the Turkish authorities are important and they should continue, even if the improvement of the bilateral relations is only marginal and the great expectations are not immediately fulfilled. But the Israeli leaders and the Israeli public opinion must be aware of the limitations imposed by the strong negative input of PM Erdogan and not be surprised each time that the finish line recedes. The next term is the August 2, 2014 presidential elections in Turkey. Who knows where Erdogan takes Turkey if he wins the Presidency? Perhaps his pragmatism or the regional situation will compel him to change his mind about the relations with Israel. Meanwhile read his lips! Data from the Turkish Statistics Institute suggest there was an increase of 56 percent in exports to Israel in May 2013 compared to the same month of the previous year. Imports from Israel show an increase of 22 percent in May 2013 compared to the figures of May 2012. The trade volume between Israel and Turkey reached nearly $2 billion in the period from January to May 2013. Turkey's exports to Israel totaled over $1 billion, while imports from Israel sat at around $1 billion. According to economists at the Israel Export and International Cooperation Institute (EICI) Turkey now ranks as Israel’s fourth top export destination, up from number six last year. Shaul Kimhi and Ely Karmon , “What makes Erdogan tick?” Haaretz, September 23, 2011, at http://www.haaretz.com/opinion/what-makes-erdogan-tick-1.386382. Ely Karmon, “Drama, but not yet a reconciliation: Israel and Turkey,” Haaretz, March 27, 2013, at http://www.haaretz.com/opinion/drama-but-not-yet-a-reconciliation-israel-and-turkey-1.511951.